Hey now. Matt Damon is back as Jason Bourne in the new film that is simply titled, ‘Jason Bourne‘, which teams up Damon and director Paul Greengrass once again for the spy thriller who seems to never remember who he is or where he came from. In addition to the usual losing sight of Jason Bourne, then spotting him in a big crowd, to losing him once again, the writers added HBO’s ‘Silicon Valley‘ show to the element without all of the fun or comedy. I’ll get to that in a minute though. If I remember correctly, ‘The Bourne Ultimatum‘ solved Jason Bourne’s memory loss and got to the bottom of his backstory, but here, the writers cleverly added a little more information that has been missing from his mind in how he was recruited and what just happened to his father. This time, Bourne is a little older, sporting a few gray hairs in his beard and is easily winning bare-knuckle fights overseas to make money to survive, while still having Vietnam inspired flashbacks to his earlier days with his father. New CIA director Robert Dewey (Tommy Lee Jones) and his protege Heather Lee (Alicia Vikander) come across Nicky Parsons (Julia Stiles), who hacks the CIA to retrieve a ton of sensitive information about ‘Treadstone’, their underhand dealings and practices, and Bourne himself, which plays out like a form of Wikileaks in reality. Parsons and Bourne meet up to expose the secret information with the CIA on their tale as well as Dewey’s right hand assassin called ‘The Asset’ (Vincent Cassel) to take out Bourne and then again everyone else in his way. Going back to the ‘Silicon Valley‘ aspect, the writers have added a character named Aaron Kalloor (Riz Ahmed from the recent HBO show ‘The Night Of‘), who is the CEO of a social media platform called Deep Dream that has almost two billion users. Kalloor wants to keep the privacy of his users private, where Dewey wants a back door to the platform to spy on everyone using it, which all culminates on Las Vegas, where all the main players end up at a tach convention that plays out similarly to ‘The Manchurian Candidate‘. The story has a ton of plot holes and doesn’t really all add up even though the premise and set up could have been amazing. If you know Paul Greengrass’s work, you would know that he loves to film his action scenes and fight choreography with a ton of shaky cuts every couple of seconds, giving a chaotic feeling to the intense fights and setting. Rarely it works and with ‘Jason Bourne’, it only works in one excellent scene. Perhaps, it’s the best scene in the movie where Greengrass has perfectly staged a huge violent protest in Athens against the police with fire bombs and chaos on every street. 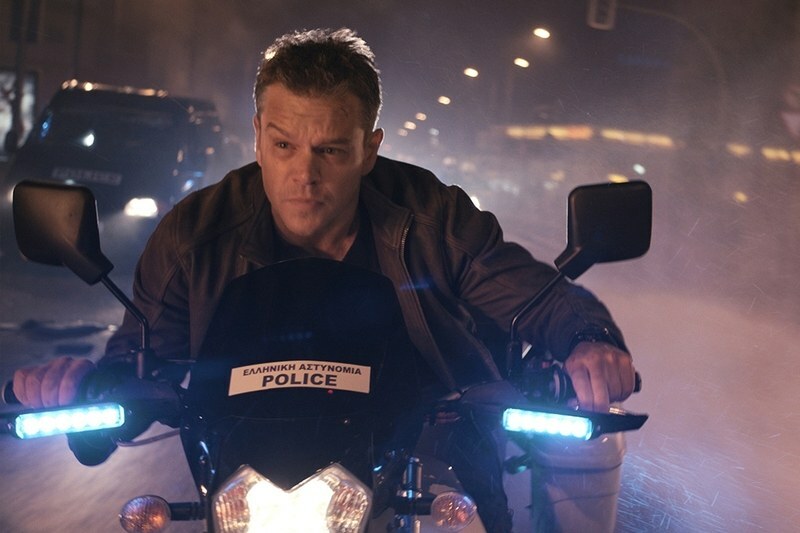 He films Parsons and Bourne weaving in and out of all the violence, bullets, and fire bombs on foot and on motorcycle with high intensity, while also capturing everything going on in the surrounding streets and extras. It’s top notch filmmaking in this action area and what Greengrass does best. Unfortunately, the big climactic scene in Las Vegas is sub-par, as well as the rest of the big action chase scenes, which just seem redundant and less than thrilling between Bourne and The Asset. With too many shaky cam cuts every few seconds, you never get fully immersed in the action or situation. If Greengrass could film a chase scene or fight scene between two people and leave the camera rolling for more than ten seconds without cutting, it would go a long way as to truly show the talent and story to these action scenes. Instead, it’s just a jumbled kind of mess. Bourne himself seems cut off this time from the whole world and lacks really any personal interactions or humanity, which was what made him so likable and relatable in the previous films. Here, he literally only has a few lines of dialogue in the movie, where the rest of his time is trying to escape the hands of The Asset or the CIA. There really is no emotion here whatsoever as he has evolved into some form of the Terminator, but hey, even the Terminator smiled once in a while. Tommy Lee Jones does an excellent job as the villain here as he always does, where Alicia Vikander turns in a solid performance, but the script hinders her from showing a real side of humanity, but rather just a stereotypical cold and lifeless government agent. 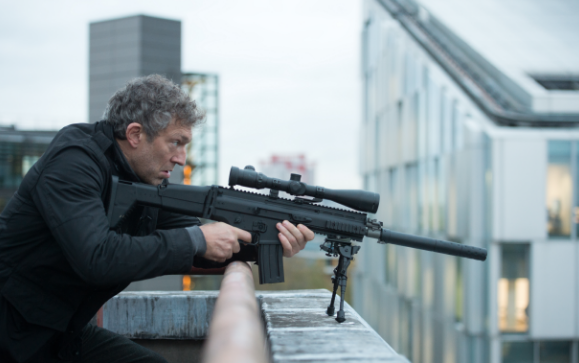 Vincent Cassel is excellent in everything he does and has himself and Damon returning to Las Vegas again. Cassel’s character is violent and brutal throughout the film and delivers a hearty villain dose to the story, but his last minutes of the film seem out of place, as he goes from calculated and intelligent to chaotic and unpredictable. It just didn’t translate well, which is not his fault of course, but the scripts. ‘Jason Bourne‘ is very underwhelming and isn’t necessarily the high octane action picture you would expect. That being said, if you love Paul Greengrass’s choppy style, I’m sure you’ll enjoy this addition into the ‘Bourne‘ universe. This entry was posted on Wednesday, July 27th, 2016 at 10:09 am	and is filed under Film, News. You can follow any responses to this entry through the RSS 2.0 feed. You can skip to the end and leave a response. Pinging is currently not allowed.